Enhance your Cal U education with an international learning experience. Whether you volunteer, accept an internship or study abroad, you are sure to come home with memories that will last a lifetime. The Office of International Programming and Study Away works with Cal U students to find the right program in terms of academics, budget and personal interests. Options include short-term programs (a week or two), summer experiences (several weeks), or a traditional semester or academic year abroad. Cal U students also may choose to join a faculty-led trip during the summer months or over a break. These trips may be an affordable introduction to travel and study abroad. Improve your foreign language skills. Skills developed from an international learning experience have the potential to change your life -- and your career options. In today's increasingly interdependent world, both employers and graduate schools may look favorably on a candidate with significant cross-cultural experience. There is much to be gained from understanding the history and traditions of cultures outside your own. Studying abroad is one very exciting way to meet new people, discover new approaches and build your professional skills. These international learning providers encompass a wide variety of opportunities for students to study abroad. 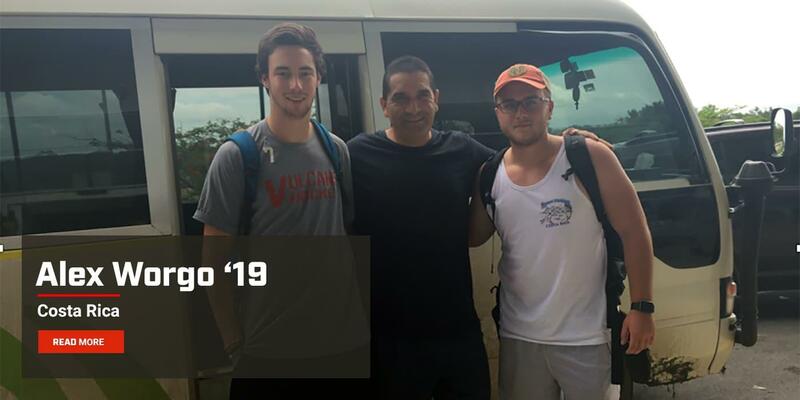 The Office of International Programming and Study Away can help you explore these opportunities and understand how to make an international learning experience part of tyour Cal U education. Note that each of the providers listed below is an independent, third-party organization with no direct affiliation with Cal U. You must apply to the program you select, and there is no guarantee that your application will be successful. This list of international learning providers is derived fromandprograms listings. listings do not list all available international learning programs. Refer tofor further information, including. Cal U and Pennsylvania State System of Higher Education faculty members regularly lead short-term trips abroad for one or more weeks, especially in the summer. These trips typically are affordable and provide an introductory-level experience to travel and study abroad. Cal U’s faculty-led programs are generally geared to a specific academic major, although some trips are open to all students regardless of their field of study. During this five week trip, students will live alongside scientist and scholars in Ranomafana National Park as they explore the unique ecology and biodiversity of a tropical rainforest and gain hands-on experience in the research techniques used by professional field biologists and natural resource managers. Classes will take place in a combination of settings, from traditional classrooms to the heart of the rainforest and in traditional Malagasy villages. The program will include a cross-country trek to explore Madagascar's famed the spiny desert and coral reefs, and conclude with the completion if an original research project examining the impact of habitat disturbance on the rainforest. Students will also gain the experience of living within a new cultural environment and meet grass-roots conservation leaders working to preserve both the unique animals and plants of Madagascar and the culture of the people who call the Island home. Since 1985, the State System has provided Honors students from the fourteen state universities with the opportunity to study abroad through the Summer Honors Program. Each student's scholarship covers the cost of 6 academic credits, travel and room and board at the host university and abroad. The application process is competitive; students must complete a written application and be in good standing within their respective Honors Program to be considered for the summer program. They are selected based on academic achievement, service to the Honors Program and the university and their interest in the program of study. The 2018 summer program, "Vienna, at the Border of East and West," was hosted by Indiana University of Pennsylvania. It took place in Vienna, Austria, and Sarajevo, Bosnia-Herzegovina. The opportunity to travel appeals to many people as the chance of a lifetime. To experience a new culture and civilization, and to benefit from experiences that will change one's perspective of knowledge and diversity. 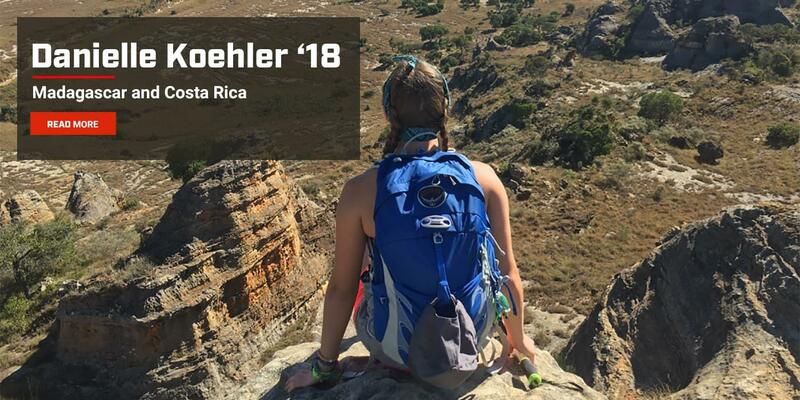 The PASSHE Summer Honors Program provides not only all expenses paid traveling opportunities, but also educational experiences for students to study abroad through one of the Pennsylvania State Systems of Higher Education universities and receive credit for completing the course toward their Honors Program. California University of Pennsylvania is one of the 14 universities that participates in Summer Honors Program trips for Honors students to study abroad and take an academic course on a topic that is related to the country selected. 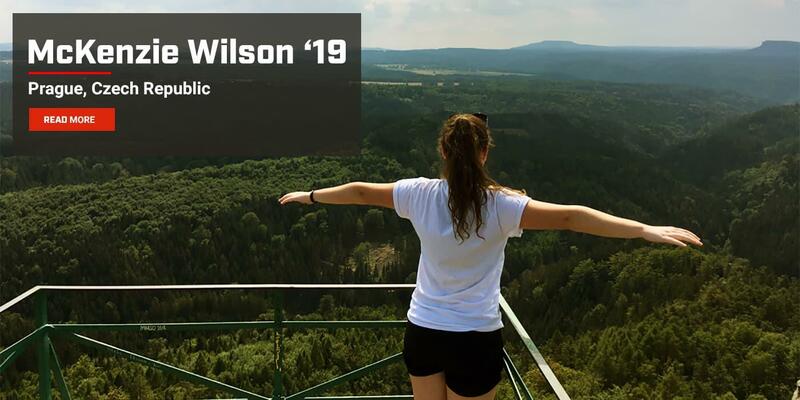 Lauren Griffith, a Cal U senior and Journalism major, was fortunate enough to have the chance to experience the PASSHE Honors Program and partake in a trip to Nova Scotia, Canada in the summer of 2014. "Mansfield University of Pennsylvania hosted it and we went to Nova Scotia, in New Brunswick," said Griffith. "We studied the Maritimes region and sustainable agriculture and geology." Through this program, students were given the opportunity to study the physical geology of Canada's region as well as agriculture life in New Brunswick and how it differed from United States' agriculture. "I learned that there is a big difference to how Canada does things in terms of farmers' markets, grocery stores, and restaurants, at least from what I have experienced in Pennsylvania," Griffith said. "It made me more aware of what I could be doing with limited resources such as money. So I check out farmers' markets at my local Whole Foods and try and shop more organic." The students participated in various agriculture shopping experiences such as visiting two local farmers' markets in Nova Scotia and having the chance to discuss with restaurant owners where their foods come from and processes with how they are grown. Griffith and the students also had the opportunity to visit a farm that grew a berry found in Canada that the United States does not have. "My favorite part was going to this farm where they have the Haskap berry. The farm was sustainable so they used things like seashells to help fertilize the plants," Griffith said. "They make wine from the berry and juice from it that we got to taste. They put the wine and juice in a recyclable bottle so the whole process was sustainable." The PASSHE courses lasted for three days, then the trip to Nova Scotia was a three-week excursion in which the participants were able to explore the region and work together to educate themselves from the courses they had learned. For Griffith, this trip gave her a chance to meet new people and build better connections. "I still keep in touch with a couple of people from the trip through Facebook and we Skype. I was very grateful to take part in the trip which helped ease up on the work load for my senior year as a student since I received honors credit for the trip," said Griffith. 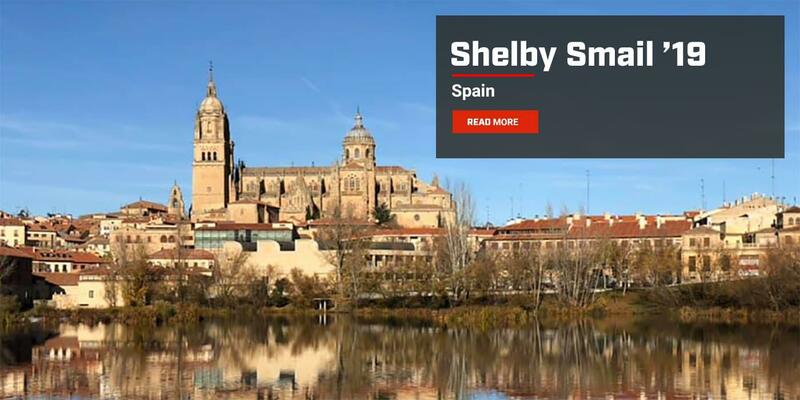 Allowing students, the chance to experience a summer where they study abroad and build connections through other honors students, really made a difference in Griffith's life. She now has more time to focus on her honors thesis and she encourages any honors student to apply for the next PASSHE Summer program. "I encourage any student to get involved as much as possible with the honors program, specifically, the summer honors program because you may never have an opportunity like that again," Griffith said. "Even if I do visit that region of Canada again, I don't know if I would have done those things unless I was pushed to do it." Having other students from different universities come together as a team while on the trip made the process easy for Griffith to participate in some of the activities the PASSHE program provided in Nova Scotia. Griffith said she even partook in catching lobsters which she does not even eat being a vegetarian. "I don't eat meat or fish but they cooked the lobsters that we caught from lobster fishing and served them that night to students," said Griffith. "It was very neat and it was very competitive doing that but cool to check the lobster traps." Our society is linked by global economies, markets, cultures, political structures and religions; therefore, gaining global competency is invaluable to employers. Our International Studies degree prepares students to participate in, and contribute to, a fast-paced, ever-changing world. Regardless of the ultimate career, a degree in International Studies develops an advantageous global awareness and readiness for success and continued intellectual growth. Career opportunities range from business, government, and non-profits, with a median salary of $60,000. Study abroad is an extremely valuable experience for International Studies majors. While studying abroad, students gain global competencies. Students are able to identify and understand issues within cultures around the world and how it relates to business, economics, politics, science, and other related fields. Studying abroad is an opportunity for students to step outside their comfort area and find their identity in the world as well as gain credits towards graduation. California University assists students studying abroad by finding the right program for the individual student, budget, academic discipline, and personal interests. Some options include short-term, faculty-led, summer, or traditional study abroad opportunities. The office of International Programming and Study Away can assist students in exploring these options. For further information please contact Dr. Madden, Program Director, at madden@calu.edu or the current International Studies GA.
A number of international learning providers offer the opportunity to apply for scholarships. In addition, a variety of organizations and institutions provide scholarships and grants for study abroad from the United States. Many provide assistance that is targeted to specific student populations (underrepresented student groups, students of limited financial means, students with disabilities, etc.). Students interested in international learning scholarship information should search for opportunities online. They also may discover information through these resources. Need-based awards ranging from $500 to $2,000 depending on duration, location and type of program. NAFSA Searchable Databases Provides a listing of web sites featuring searchable databases. U.S. Department of State’s Benjamin A. Gilman International ScholarshipGrant program that enables students of limited financial means to study or intern abroad. Aimed at increasing education opportunities for nontraditional student populations. The Diversity Abroad Network also has an opportunity for a summer scholarship. FEA scholarships are intended to meet the financial needs of students who might not be eligible for government grants or existing funds limited to specific programs or groups of students. Provides an extensive list of scholarships available for specific requirements or university programs. Lists scholarships available for certain program types or locations. Awards grants designed to help support undergraduates as they seek knowledge and experience in their academic fields by studying abroad. BUTEX awards sixteen scholarships to students studying abroad for either a semester or for a whole academic year. Eight scholarships are available to North American students studying in the UK. IIE administers several scholarship programs, including the Freeman-Asia program, Benjamin A. Gilman International Scholarship, Fulbright, and David L. Boren Scholarships and Fellowships. IIE Generation Study Abroad Travel Grants Travel grants are available for U.S. students from a broad range of backgrounds to make it possible for them to participate in academic, internship or service-learning experiences abroad. Scholarships are awarded twice a year to passionate students who want to explore the world.